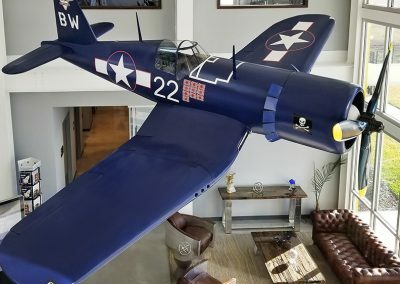 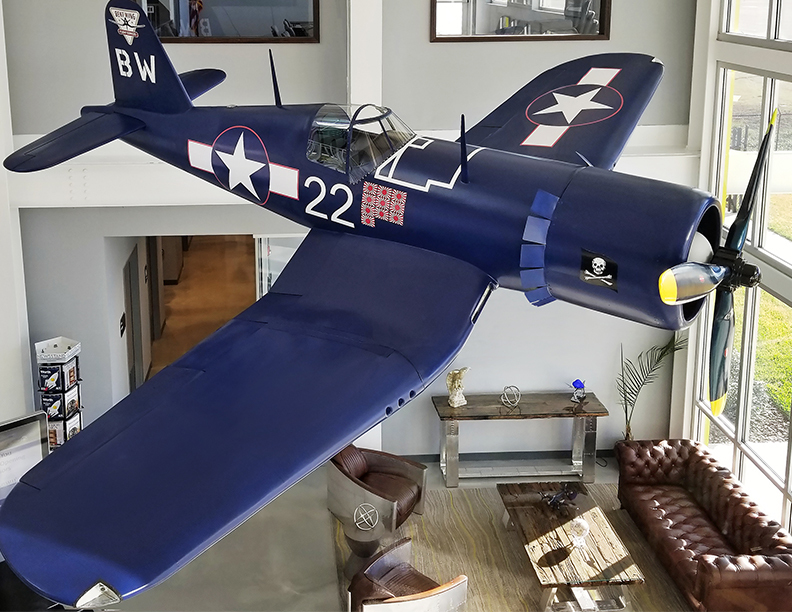 The light-filled atrium lobby features a museum quality half-scale replica of the F4U Corsair suspended in mid-air. 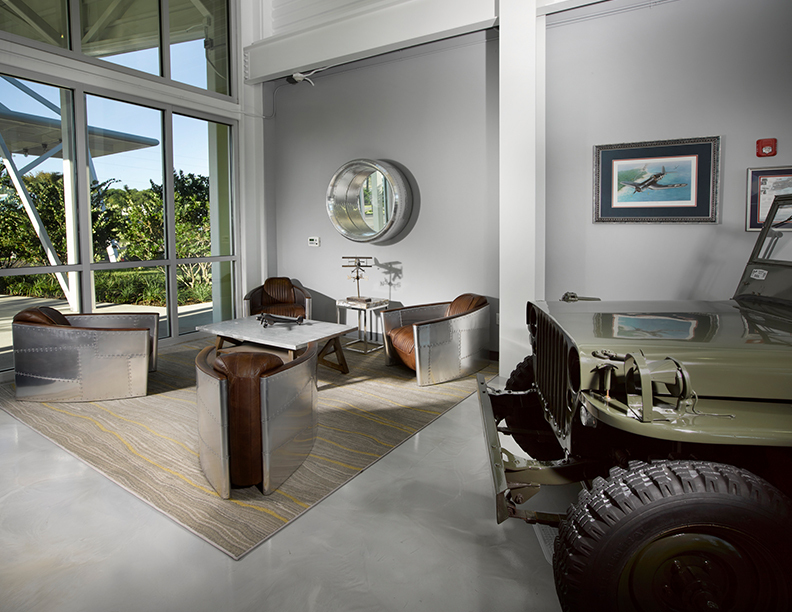 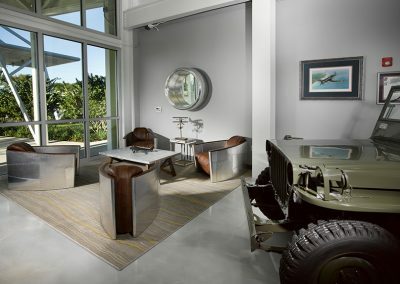 Luxurious aviation-themed leather seating provides guests with a comfortable vantage point to enjoy the view. 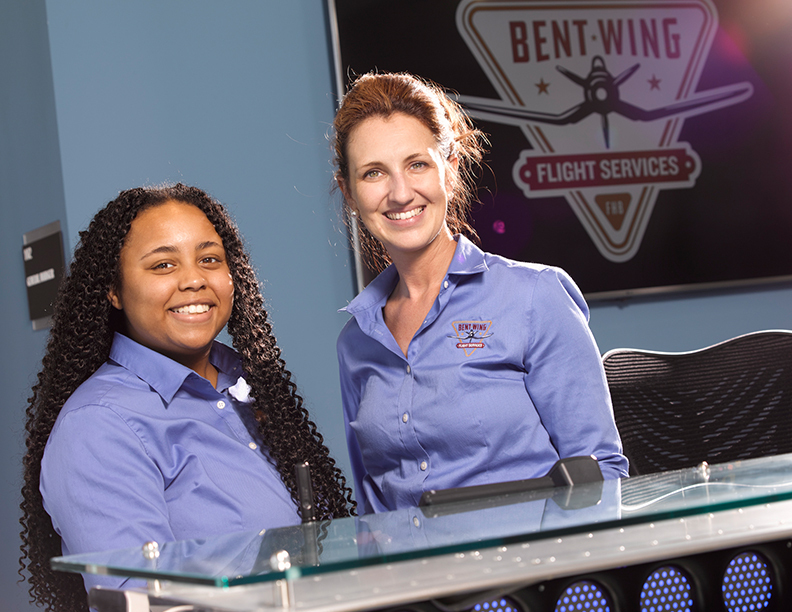 Friendly and professional Customer Service Reps provide expert assistance. 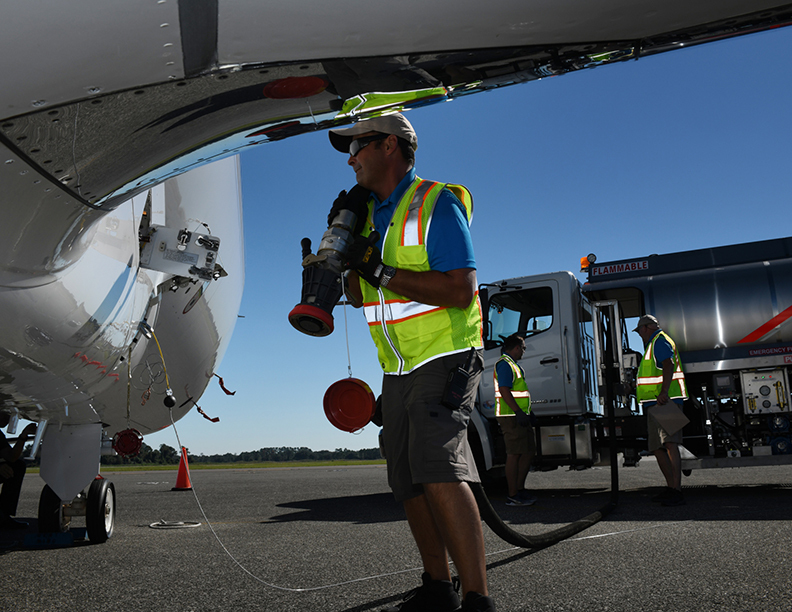 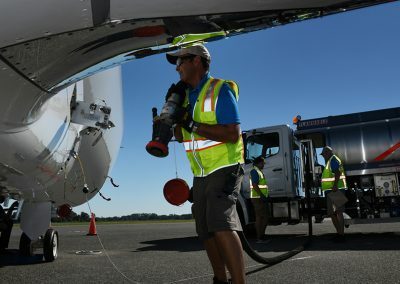 Expertly trained line staff are FAA-Approved Part 139 trained. 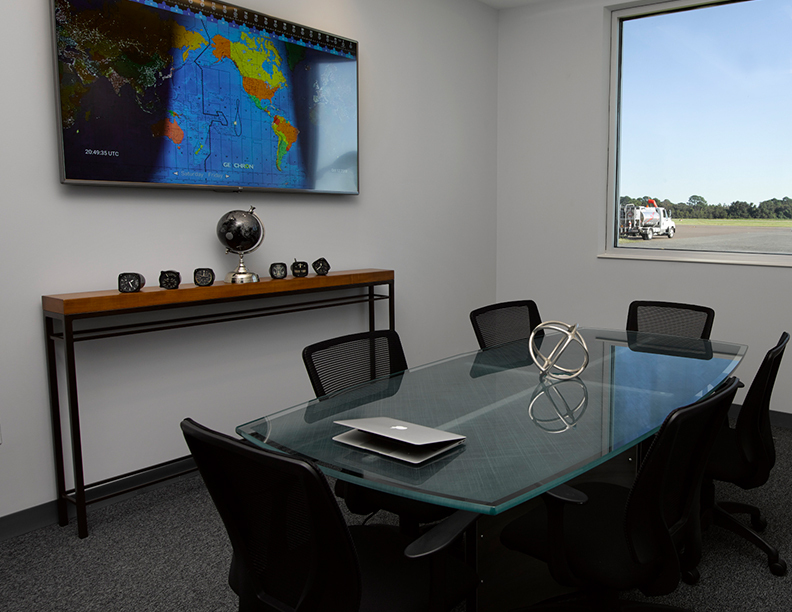 The 1st floor conference room features full audio-visual capabilities and seats 6-10. 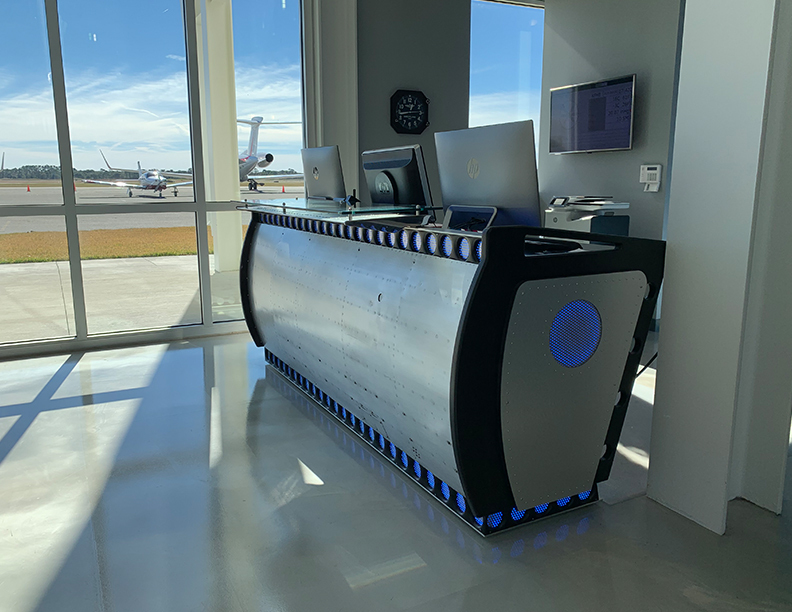 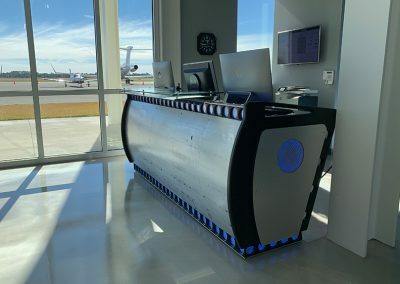 Created from the fuselage and wing flap of a 1943 T-6 aircraft, the custom designed reception desk features LED-lighted strips of Marston Mat, the perforated steel planking used to create temporary landing strips during WW II. 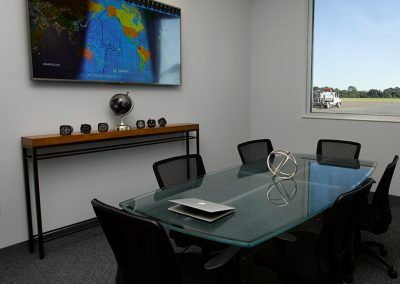 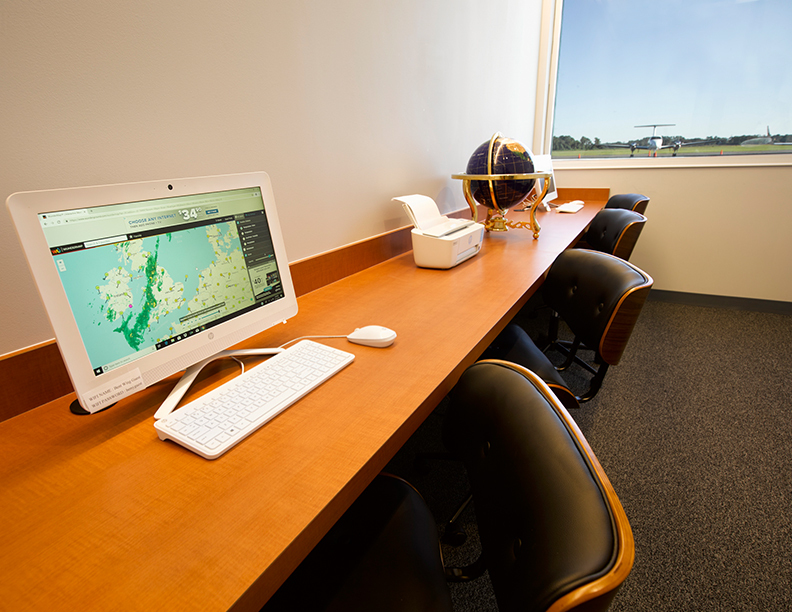 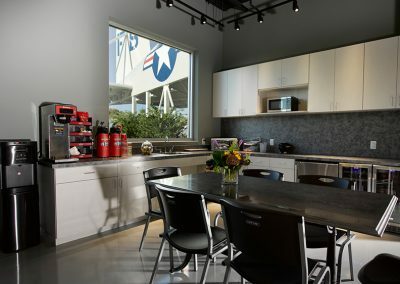 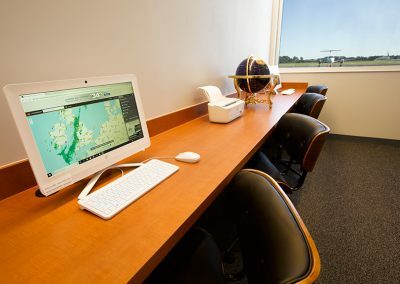 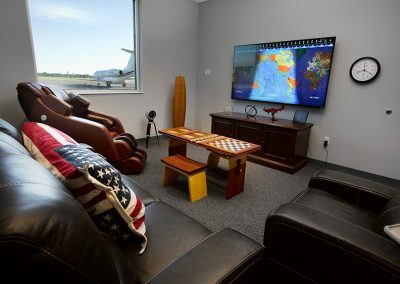 The Flight Planning Room is fully equipped with computers and printer. 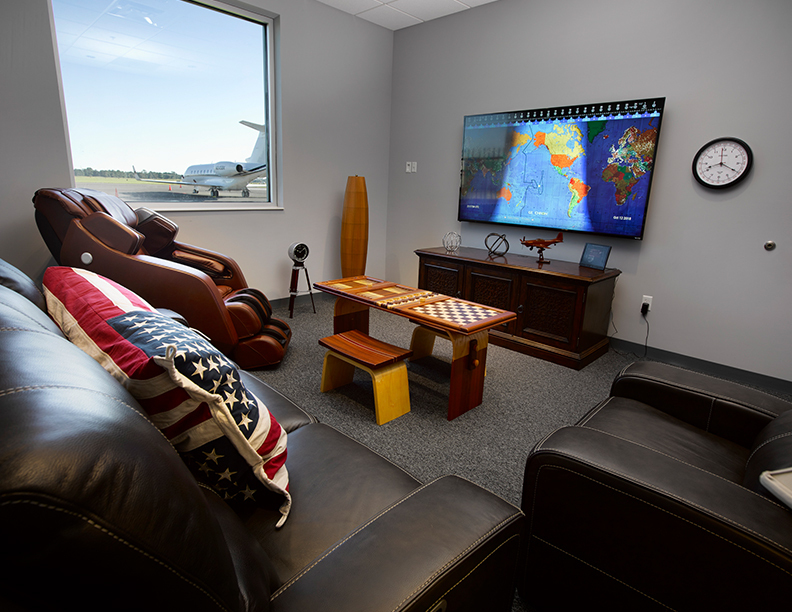 The Pilot’s Lounge offers reclining seating, 80” television, backgammon/chess table and a Zero Gravity massage chair. 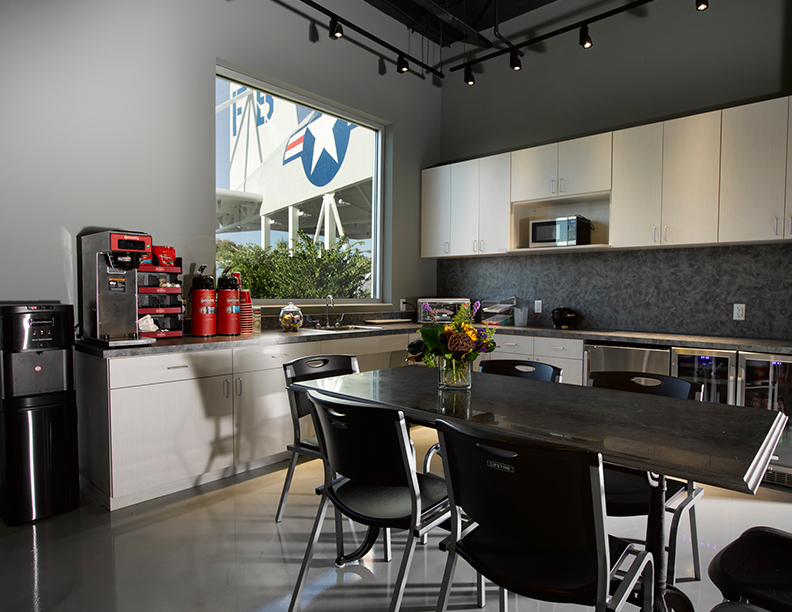 The Canteen is perfect for meals and snacks, with a kitchen and seating for 10-12. 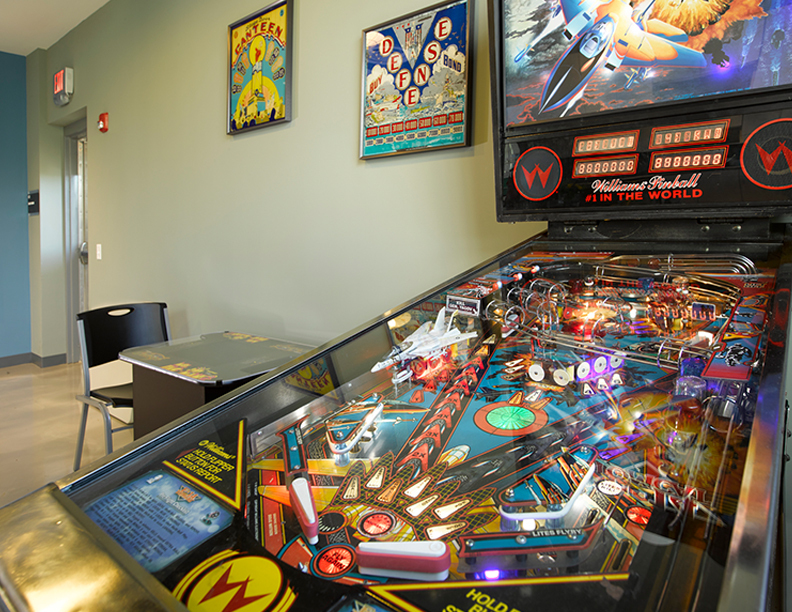 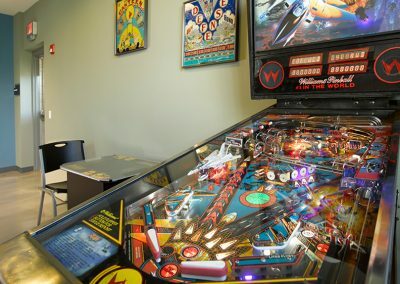 Guests can relax and unwind while testing gaming skills on the F-14 Tomcat pinball machine and the Ms. PacMan console game. 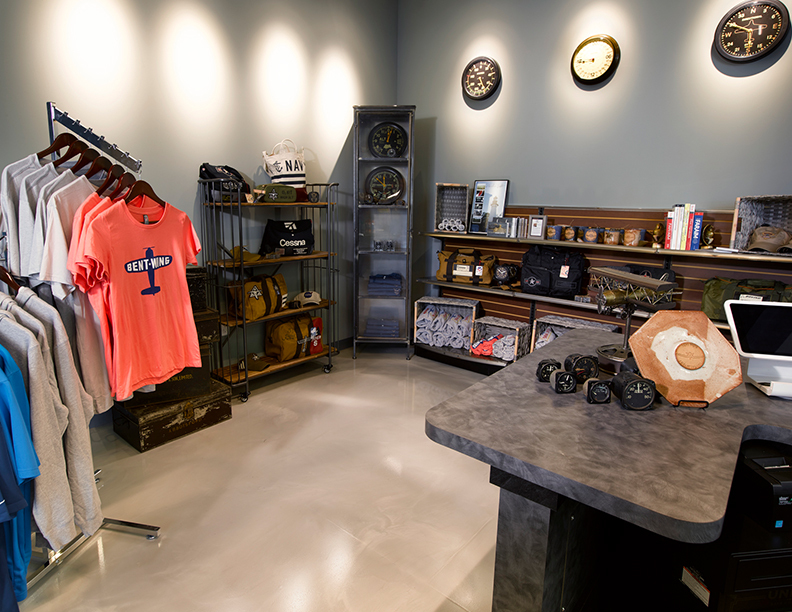 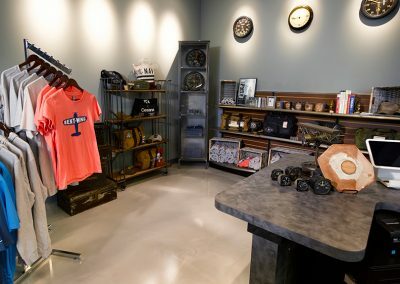 The Shopette boutique offers pilot supplies, aviation-themed clothing and accessories and unique gifts created by local artists. 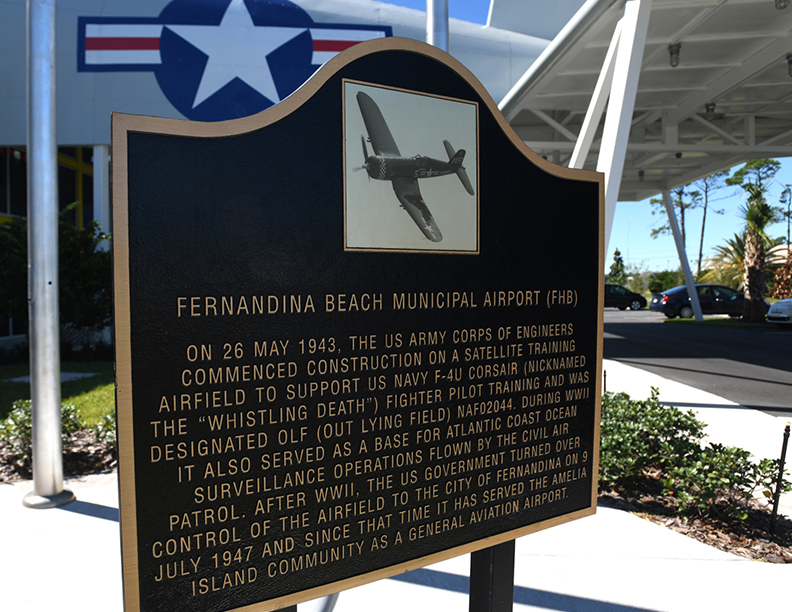 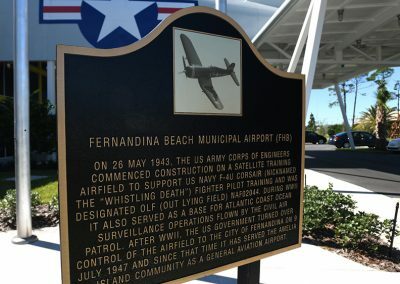 The airport’s history is commemorated in a historical marker donated by the Friends of Fernandina Aviation non-profit group.